What’s a visit to Columbia without a stop at River Rat? I headed to town two weekends ago specifically for the release of the Lost Port Vanilla PorterMother’s Day weekend festivities, and was happy to spend an afternoon with the beers and brewers I adore. 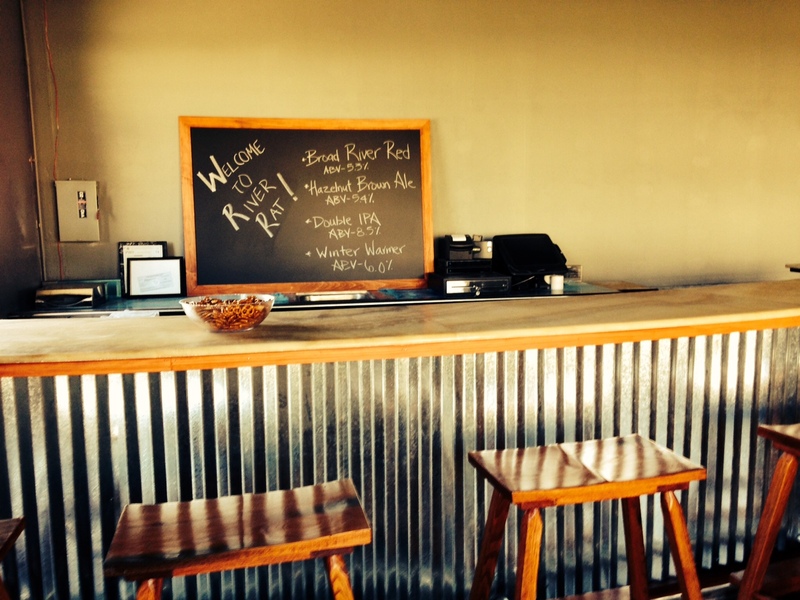 After a successful launch just two months ago, River Rat Brewery has wasted no time expanding across South Carolina. Their beers have been on tap at Growler Station, Community Tap and Greenville Hop House, and I’ve had a few growlers of the Broad River Red Ale at home. Coincidentally, River Rat entered the Charleston market this past weekend while I was visiting; it was exciting to hear commercials about their beer while I was driving through the Holy City. The latest release, the Lost Port Vanilla Porter, boasts smooth drinking with a little smokiness, a little bitterness and a lot of rich vanilla that deliciously lingers. 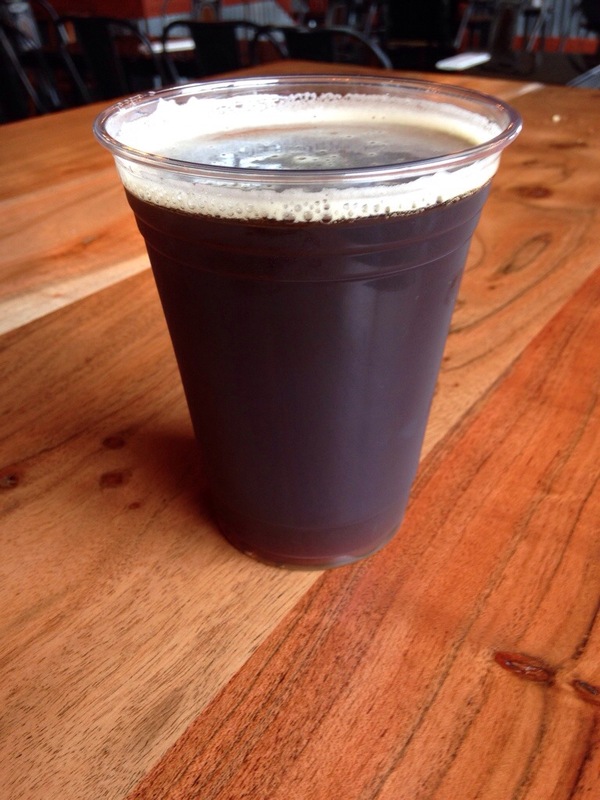 The dark brown color and milky head give way to an unexpectedly light-feeling beer. Oh, what I’d do to have taken home a whole keg of this one! The beer offerings aren’t the only things to change around the brewery. 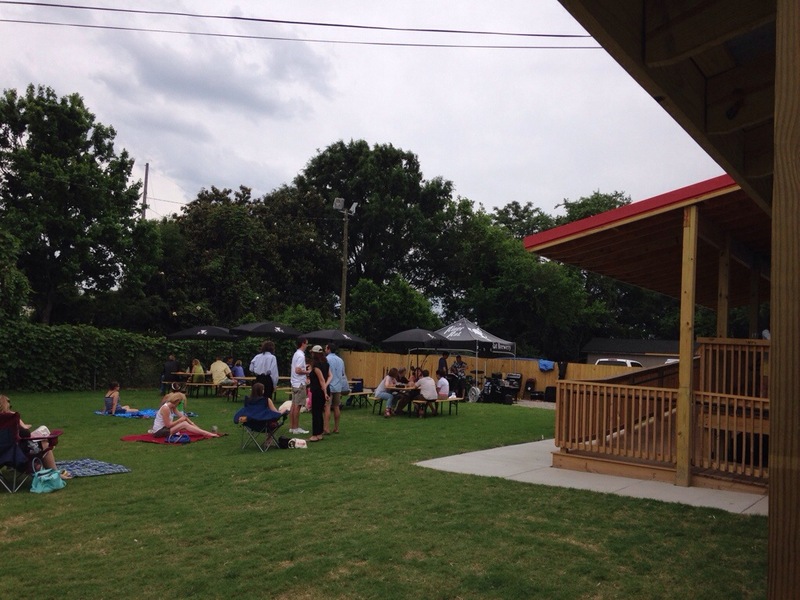 A gravel parking lot has transformed into a grassy escape, with picnic tables, a vast deck and room for a band. I ate lunch with brewmaster Drew–I’d had the luck of running into 2 Fat 2 Fly food truck and getting some mac-and-cheese-stuffed wings–who filled me in on the latest happenings and gave me a tour of the facilities. The biggest difference is that brewer Mark left and has been replaced with Tyler Pawelkop, a seasoned beer rep. Oddly enough, Tyler recalled our meeting back at the Community Tap Beer Festival, when he was working for Duck-Rabbit Craft Brewery. Another big difference inside: barrels. A lot of them. I was giddy to see the collection of Woodford Reserve and Jack Daniels barrels in the brew space, patiently waiting to be filled with a River Rat creation. Barrel-aged stouts are one of my favorite beers, yet River Rat doesn’t currently offer a stout. Maybe they have a new beer brewing they haven’t mentioned? Or perhaps a staple such as the Hazelnut Brown or the Moncks Corner Abbey Ale will find a new home? The barrels were filled this past Tuesday, so hopefully we’ll find out soon! 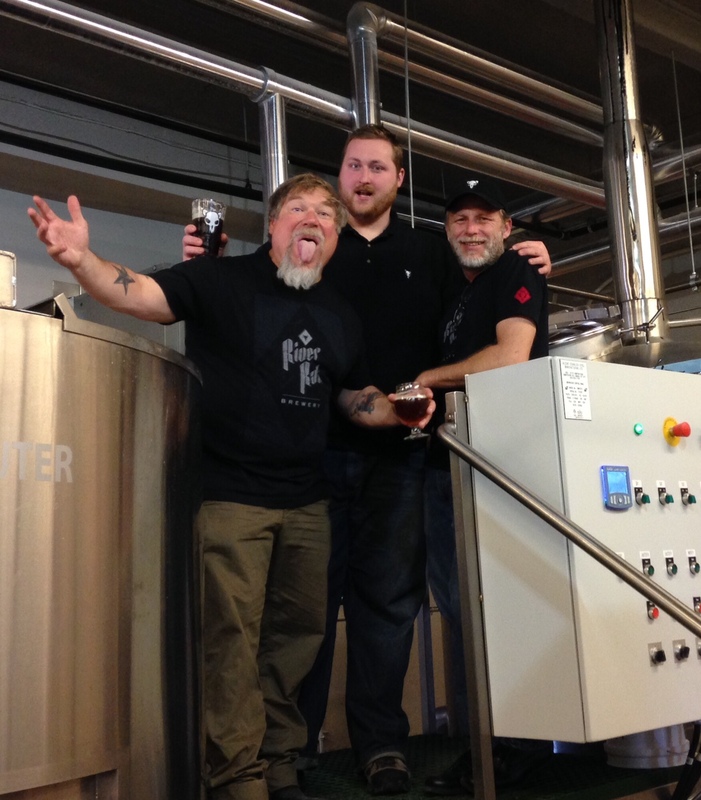 While the beer is spectacular, half the fun of going to River Rat is the people: Mike wasted no time playfully scoffing at my Brewery 85 shirt, Logan and Tyler entertained at the bar, and Drew indulged my questions for more than an hour. 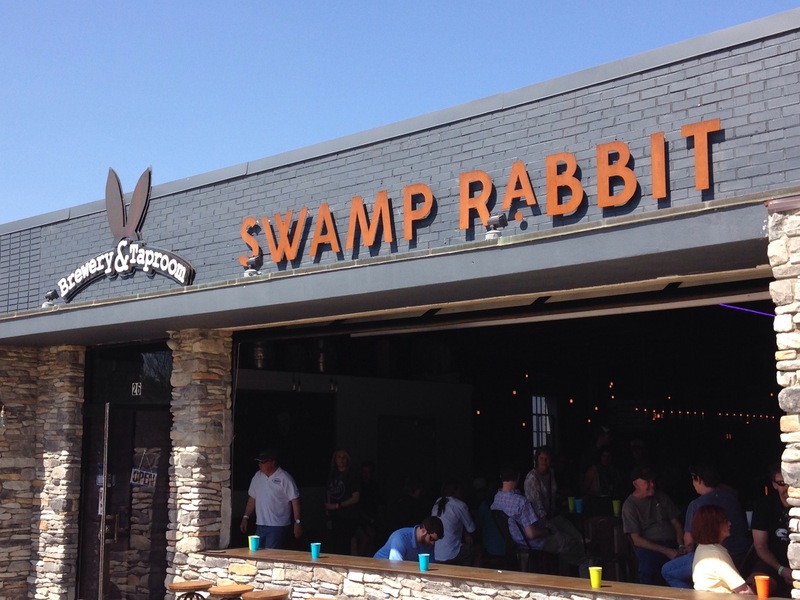 If any Greenvillians want to hop down to Columbia for a day at River Rat and Conquest (and Swamp Cabbage, perhaps by summer’s end), let me know! 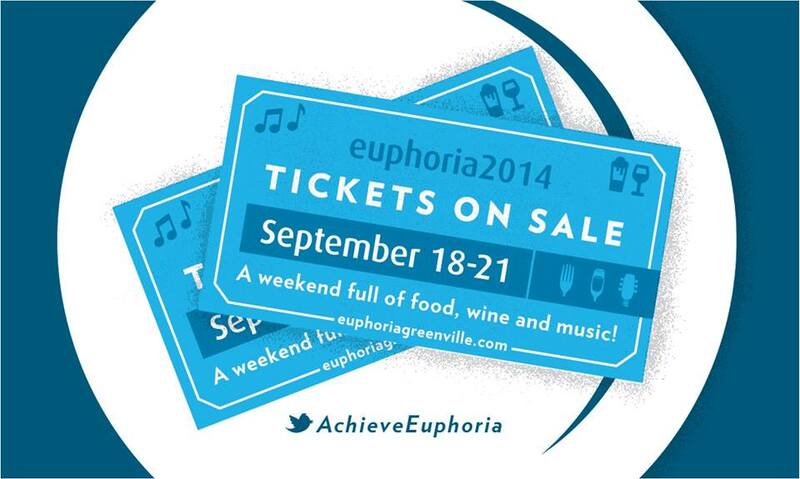 How did you celebrate this epic week? 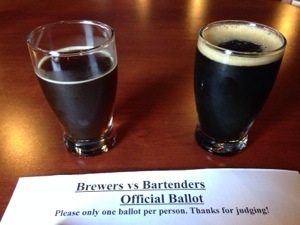 I chose Quest for my first event, where I put in my vote for the Brewers vs Bartenders competition. The respective groups brewed their own beers—an oak-aged Scotch Ale and a Black IPA. Did you try them? Which one did you prefer? 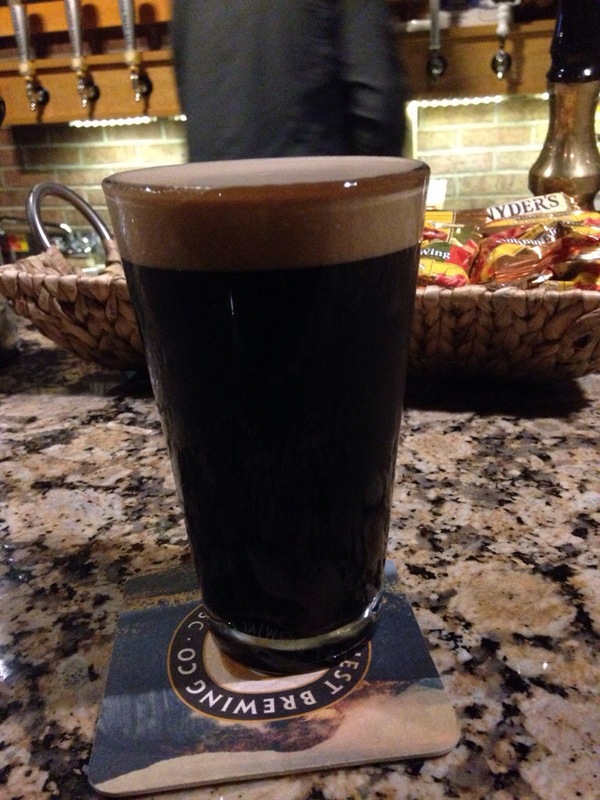 I also stuck around for the latest cask: an Imperial Stout with Granny Smith apples and bacon. This was a big week for Quest, which launched a new app on Google Play to help you keep up with the brewery and also released the Ponce cucumber-jalapeno session ale. I wrapped up my ACBW with another visit to Quest, where I chose an Ellida hop-experiment rather than the new Ponce. I’ll be sure to post about it when I finally get to try it. With a mid-week Fitz and the Tantrums concert down in Charleston, my local adventures were limited. 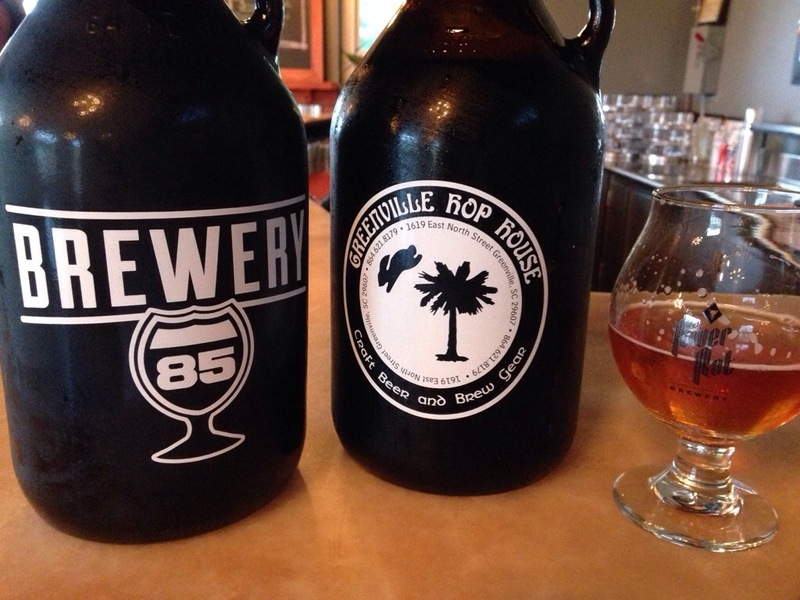 I returned on Saturday to attend Brewery 85’s Wheatfest, the official release of the 864 Weizen. There is not question that Will McCameron and the Brewery 85 staff knows how to party. The lovely Darby Wilcox lilted for drinkers, while Bavarian Pretzel Factory kept everyone fueled for another round. This classic hefeweizen offers a gorgeous golden color and a nice effervescence, something drinkers will be craving on the brewery’s expansive patio this summer. Speaking of great beer and summer, I’m planning to visit in the coming weeks since Westbrook should be releasing Mexican Cake! If anyone hears an exact date, do share. Though my trip this week was brewery-free, I did at least get to sip something new: Freehouse Brewery‘s London 2014 India Porter, which paired well with my Tattooed Moose dinner, and Natty Greene‘s Southern Pale Ale. What a tasty showcase of Cascade hops! This Greensboro, NC-based brewer just began releasing in South Carolina earlier this year, so I’ll be looking for more in the Greenville area. After getting lost in the wilds of North Carolina post-moving party for a friend, I arrived an hour late in Columbia to the River Rat Brewery shindig that I won tickets to at World Beer Fest. I stepped into a naturally lit taproom and was greeted by the aroma of barbecue and only a handful of people. The chatter of a crowd hummed somewhere nearby, but I couldn’t figure out where to head next. I soon met Claire, who works as some of the business brains behind the operations and immediately introduced me to Mark as a VIP. Fancy shmancy. River Rat works with European malts and hops. In an age of local-ness, the brewery is committed first and foremost to quality and also prizes the history behind the product. 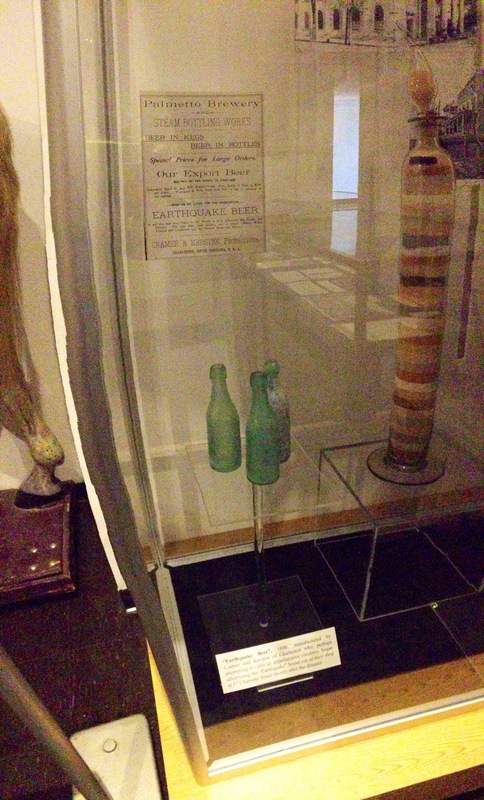 Which would you rather have: a product with a few decades or a few centuries of experience behind it? Mark hails from New Orleans, where he worked more than 20 years as head brewer at Abita, as well as consulted in opening breweries and brewpubs. The Winter Premiere Ale, a spiced beer with ginger, cloves and orange zest, was the system’s inaugural beer and will return next year. I lost a pen and got a new one with Drew’s DNA. In retrospect, I should’ve requested a beard sample to see if I can harvest a yeast strain from brewing. No matter how many signs you put up specifying that a bathroom is for women, a male VIP member will still waltz right in to change into his new brewery shirt. Mark had a woman open the door and yell at the guy, who responded with obliviousness for why SHE was in the men’s bathroom. I wish I had a photo of the moment he finally recognized he’d stepped into the women’s bathroom! I spent much of my visit talking about favorite beers with my fellow VIPs, a couple who won tickets during the first session of World Beer Festival. We were treated to a taste of the Monck’s Corner Abbey Ale straight out of tanks, which will be ready for regular consumption later this month. This Belgian brew with noble hops and the familiar flavors of dates and cloves seemed to change flavor as soon as Drew mentioned “bubblegum.” It’s sounds strange to see I tasted that in a beer, but it’s a mouth experience I’ve had before and couldn’t quite nail. Claire and I left the din of restaurant and store owners sipping beer—the real guests of honor at this party—for the quiet and good food of the taproom. I had a glass of the Broad River Red Ale, my personal favorite of the evening, and also tried the Double IPA, a favorite of Claire and Mike. A reasonably hoppy beer, this English-style brew began as one of Mike’s homebrewing recipes. Mark then took those details and worked out a recipe for large-scale production. And speaking of increasing size, River Rats is already expanding! 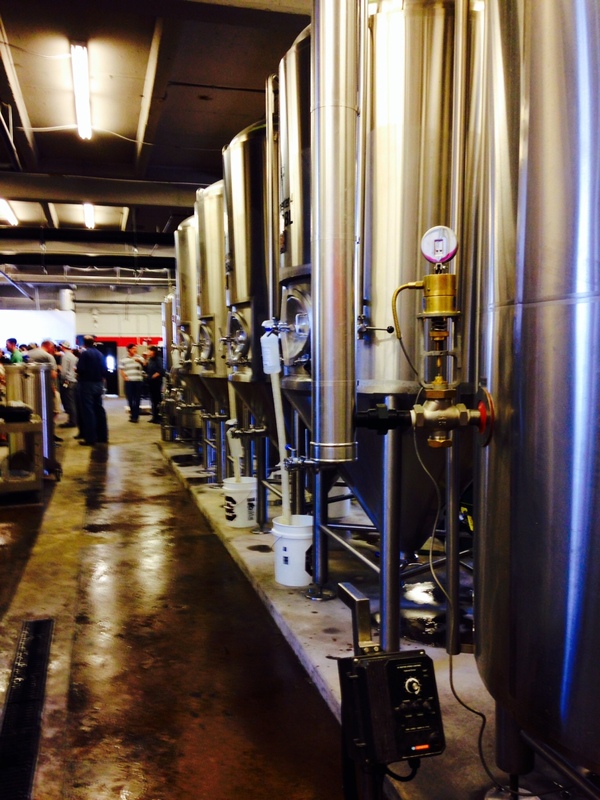 The demand for the beer is so great pre-opening that the brewery has already ordered additional tanks. Claire showed me the gigantic cooler, which is home to small stack of filled kegs, but there is no doubt it will be bursting with beer in a few months. I can only begin to imagine how popular their beers and how busy their taproom will be when USC’s football season begins (the brewery is located by Williams-Brice Stadium). At the official opening on March 10th, visitors can expect to see a live music on the gigantic, outdoor deck, where smoking and dogs are also welcome. All five brews should be available for pints and growlers. In the near future, the deck will be accompanied by a beer garden and even a “drive-thru” window, where one can easily pop by for a growler. How cool is that? Between the lively chat with Claire and the entertainment of the brewers, I was shocked when 5 p.m. rolled around the event came to a close. This was the first experience I’ve had in an exceedingly long time that has left my nostalgic for my home town and wishing I lived closer (it’s only a tiny tug, though–there’s no way I’m really moving back to the Famously Hot armpit of SC). 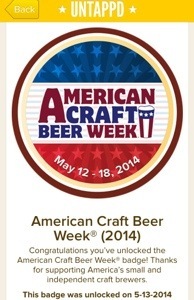 For the time being, I will patiently await their beers at Community Tap’s festival on April 5th! A huge, huge thanks goes to everyone at River Rat Brewery for the raffle tickets, the free shirt and glass and sticker, and the patience to let me trail their every move and ask too many questions. You can learn more about the brewery, the beers and where they’re available in Columbia in this great Free Times article. 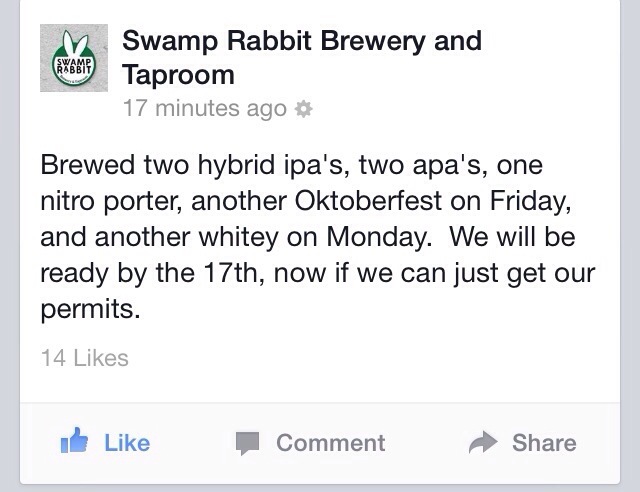 Be sure to follow River Rat Brewery on Facebook, Twitter and Instagram for the latest news. 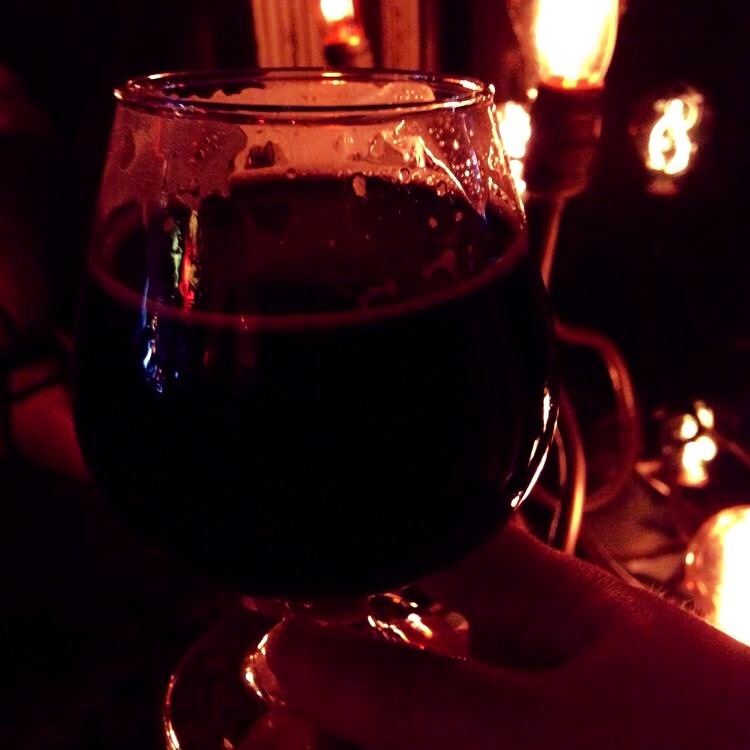 Quest Brewing Company held a one-night only event to try four pepper-infused, barrel-aged versions of their Kaldi Imperial Coffee Stout, my favorite Quest brew. The first two tasted very similar and had next-to-no heat; I felt like the “medium” level was skipped. 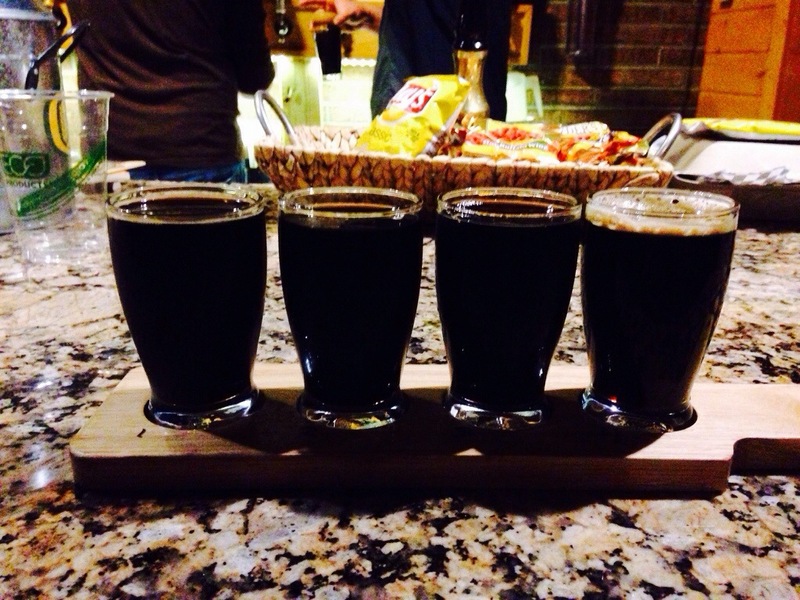 While it was fun to try these peppered brews, you won’t find me ordering them by the pint. I immediately ordered the Nitro Milk Stout, which slowly quenched the burn, and watched my imbibing neighbors turn the taproom into a dance floor. When the music died, I snagged owner and brewmaster Don Richardson and asked him about his new Milk Stout. Made with roasted barley and chocolate, this super creamy stout’s smooth body is thanks to the combination of lactose and nitro. The beer had a gorgeous color and thick head, yet the flavor was light, sweet and slightly earthy. And this brew weighs in at 5%, putting it on the lower end for milk stouts. If you have a friend who refuses dark beers because she expects it to be heavy or bitter, then order a taste of this one and make her a stout convert.